We're driven so you can drive! Alaska Travelers! This is the place for solid service when you are on the road. My son and I rolled into this shop at 8:20 on a Monday morning and were back on the road before noon after DD pulled both front wheels apart, inspected the bearings, replaced the spindle bearings and road tested our truck. Family owned by auto enthusiasts who love to race. Sure they may be more expensive than a few others, however, when you are traveling in Alaska, who wants to be stuck in the middle of nowhere? (The few dollars you saved with a cheaper shop will go towards your tow bill!) HIGHLY RECOMMENDED! Family business started in 1990. Gary has over 57 years automotive experience which began when he was just out of diapers on the family farm in Ohio. 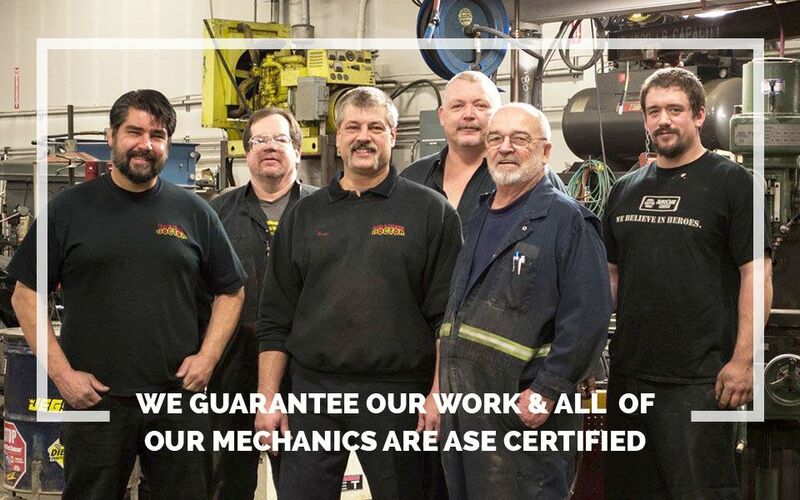 Gary is well known around the State of Alaska for his mechanical and high performance knowledge. The Gas & Diesel Doctor is not only a family owned repair shop, its one FOR ALL YOUR AUTOMOTIVE NEEDS, bumper to bumper and even Custom Exhaust. Our highly skilled ASE technicians with the latest factory diagnostic equipment will get the job done right. Apart from our automotive repair facility, our family runs AA/Fuel Altered and Top Fuel Funny racing team based in Interior Alaska, called the Alaskan Grizzly. The team comprises of two Fuel Altered/Funny Cars, which has four engines in total. While the racing season is on, the team hits the road loaded with supplies and tools for numerous race weekends, operating out of a stacker trailer and 95 foot motor home. In need of automotive services? The Gas & Diesel Doctor specalizes in auto repair and maintenance for a variety of vehicles. Come see us for 30k, 60k, and 90k mile service, AC repair, smog checks, and more! Avoid countless tries to start your car, with a quality alternator replacement. Save yourself time and money by finding out the true condition of your transmission! Keep your tires in good shape and prevent wear, before you head out on a road trip or vacation. We can perform quality brake repairs for any of your braking system parts. Keep your vehicle's engine well maintained in order to work at peak performance. Don't be in the dark, have proper lights repair and maintenance. Keep your vehicle running for a long time with quality timing belts.